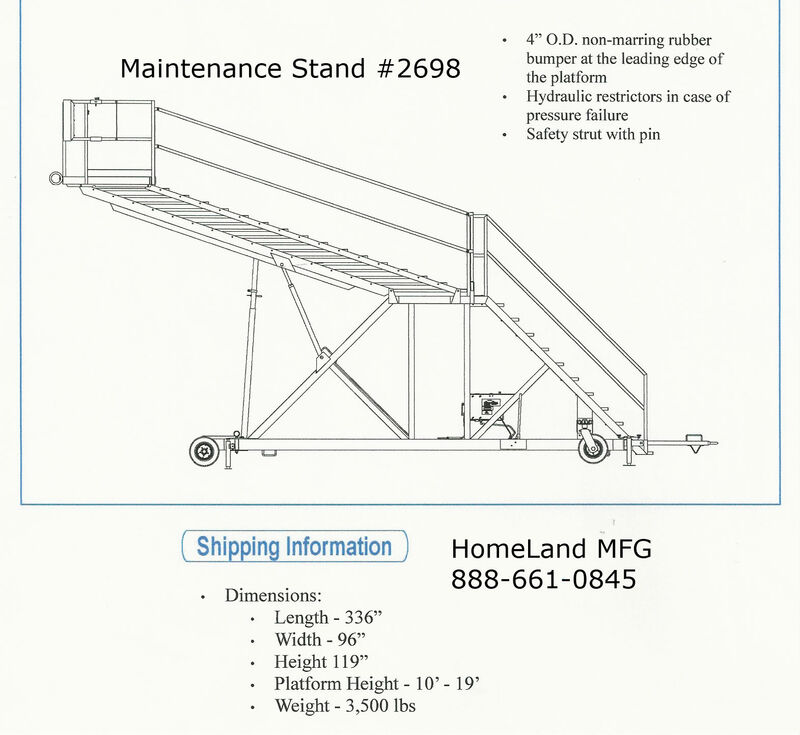 Our Adjustable Maintenance Stand 2698 Hydraulically reaches from 10' to 19'. 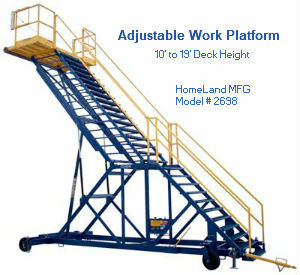 Adjustable Work Platforms have a multiple of uses. These Portable Maintenance Stands have been used where a fixed stairway is not practicable.